When in Doubt, Paint it! 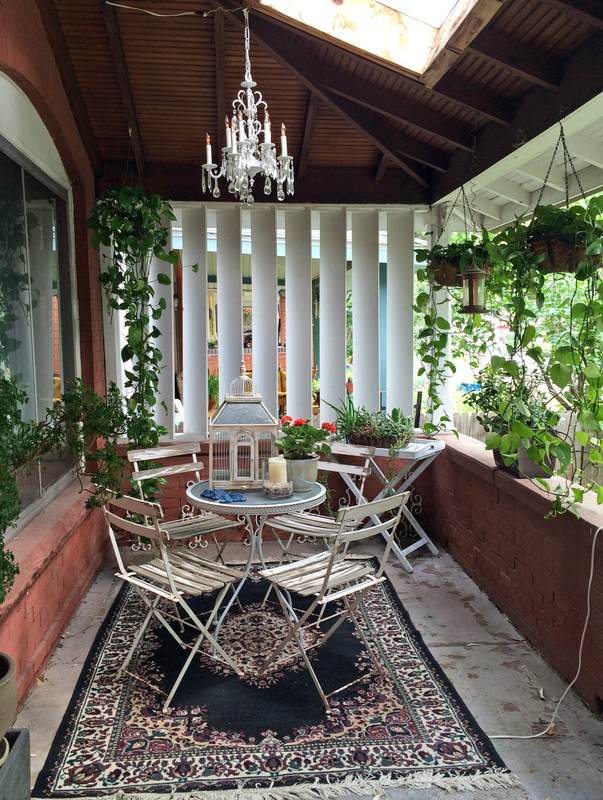 A Quickie Paint Pick-Me-Up and Rearrange for the Front Porch. 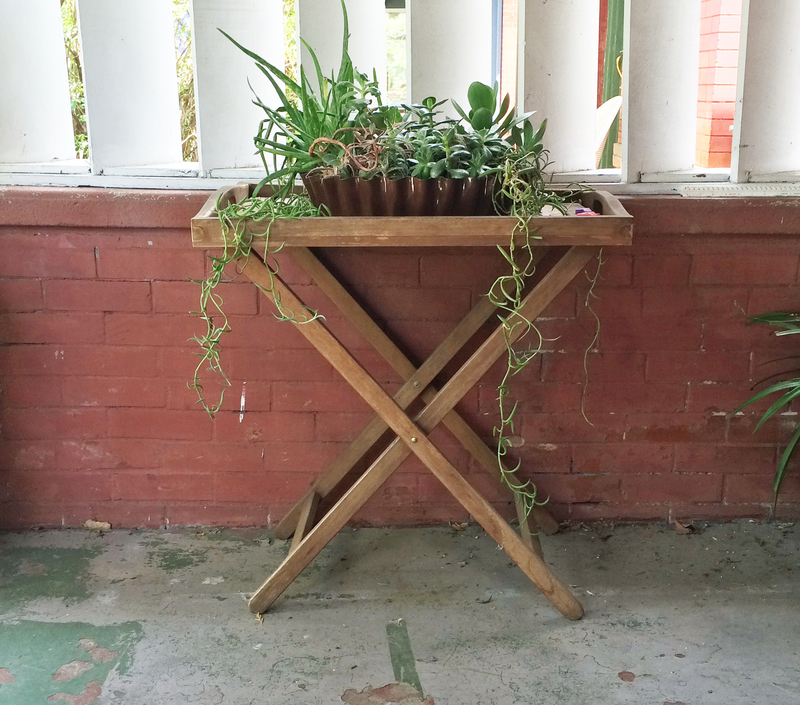 The front porch has been bugging me for awhile now, so I got off my lazy duff and did something about it this weekend. 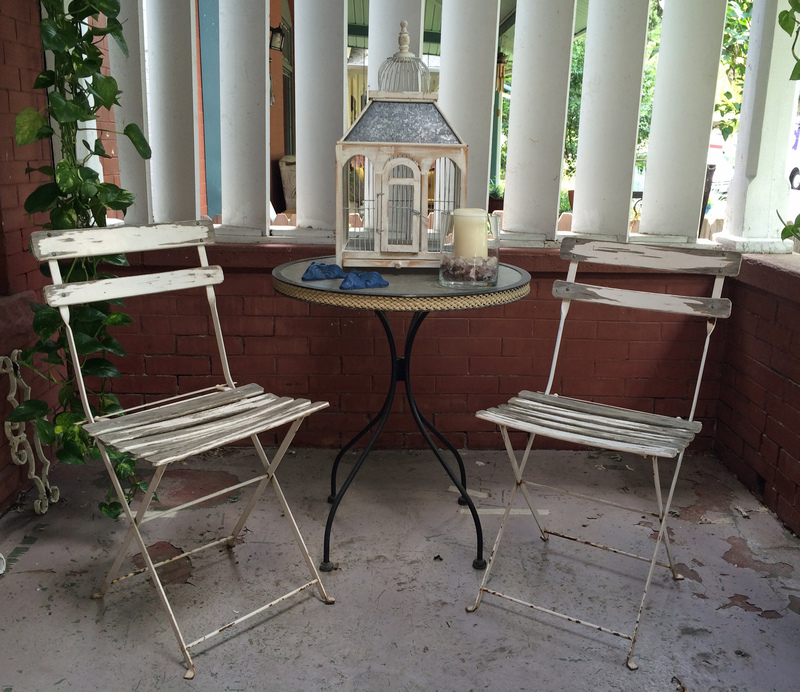 I’d been meaning to paint the tables on the porch white since finding them (yes, they are both Freebee Alley Finds!) 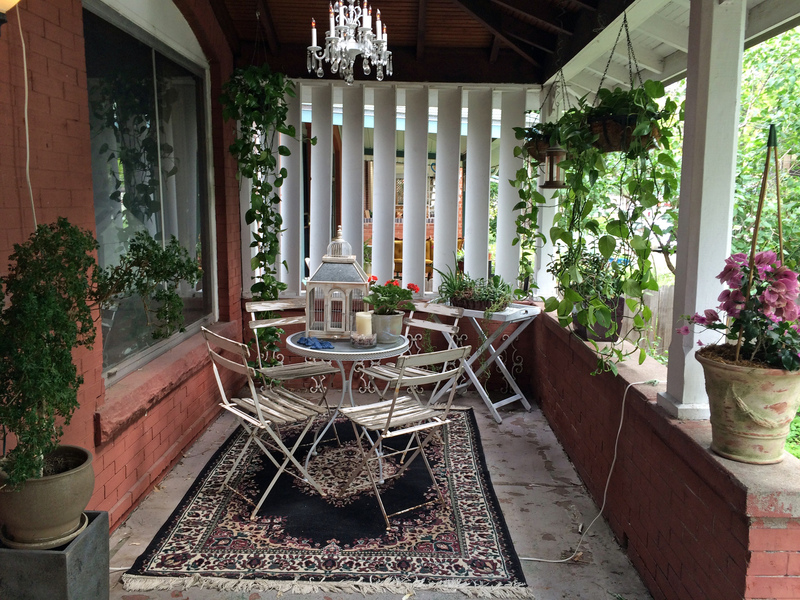 to blend them in with the other porch furniture and trim. TIP: How do you make a bunch of stuff that really doesn’t go together work? Paint them all the same color! After the paint dried, I spent some time moving all the furniture around for a new arrangement, and settled on the table and chairs being centered under the chandelier and the tall table in the corner. It feels much more welcoming now, and suits our grand old Victorian house. 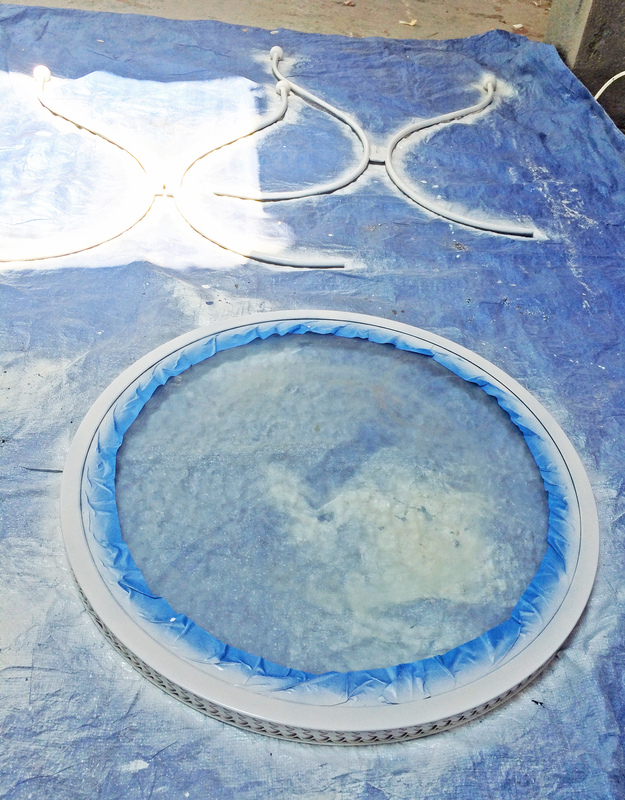 I also added an old (cheap) rug that was gathering dust in the garage. I do plan on fixing and painting the concrete floor of the porch eventually, but this helps for now. At the last minute I added a little side table from the house to the right side, and now it feels complete. Ready for Summer! What house projects did you tackle this weekend? Tell me about it in the Leave a Reply/Comments Section. 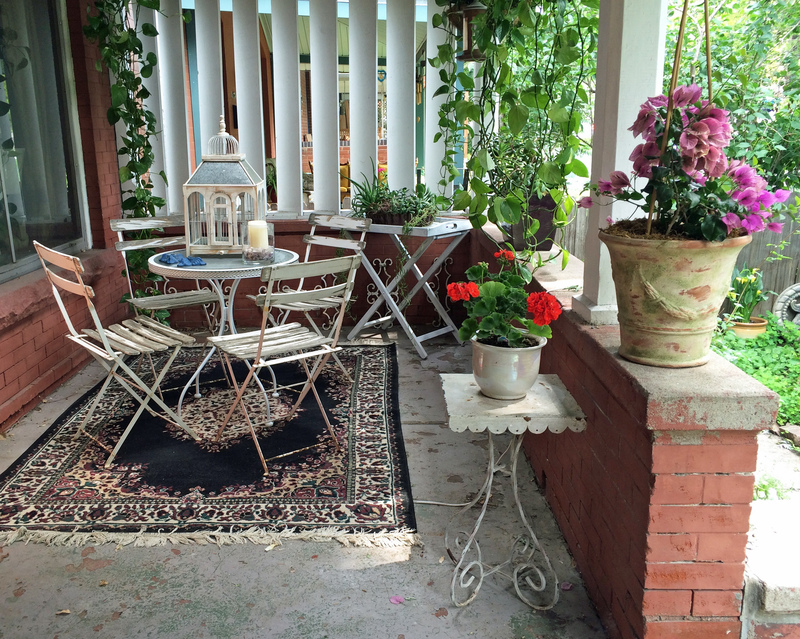 This entry was posted in DIY and tagged alley finds, DIY, dumpster diving, front porch, painted furniture, porch makeover, Porch redo, victorian house, victorian porch. Bookmark the permalink.